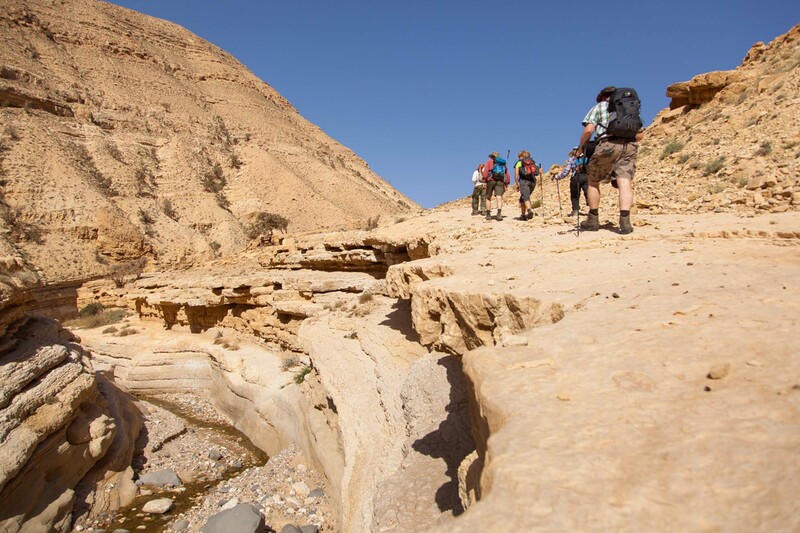 Our journey continued the next day fresh from the camp at the mouth of the Valley that would take us up to the high ground beyond Wadi Araba. We woke early and made use of the fresh morning temperature to find the shade of the high wadi walls. Passing shades of jagged rocks, black and volcanic, we ascended to the more familiar sandstone rock. Not much shade as we climbed on higher, but we managed to make use of the natural cave formations and sparse oak tree limbs clinging to the dry ground. Our reward was spectacular as we traversed the last of the ridges to come upon our camp on the high limestone ground; a beautiful natural stone archway framing the most incredible view over the ground we had made that day. The last day’s walking made good use of our high position on the valley edge, following the ridge south towards Petra. A hot day with little breeze, but the team were great, taking in the views and making good ground. Meeting local shepherds along the way, with their goats and sheep, we finally came to a tarmac road and the welcome sight of the local crew, ready to drive us a few kilometres to the location of our last night in the desert; a stone farmer’s house nestled in the now round boulder formation rock of ‘little Petra’. 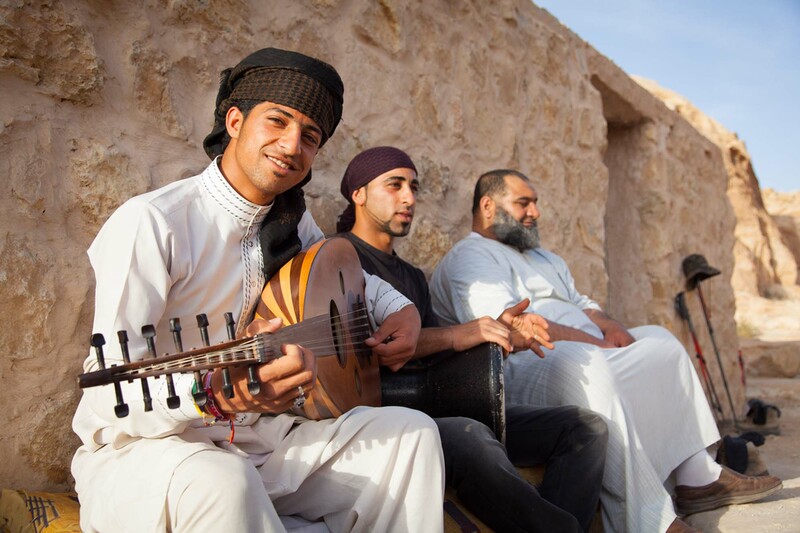 The night was alive with the sound of live bedouin music and we all relaxed around the fire, enjoying the delicious lamb BBQ feast laid on by our crew. 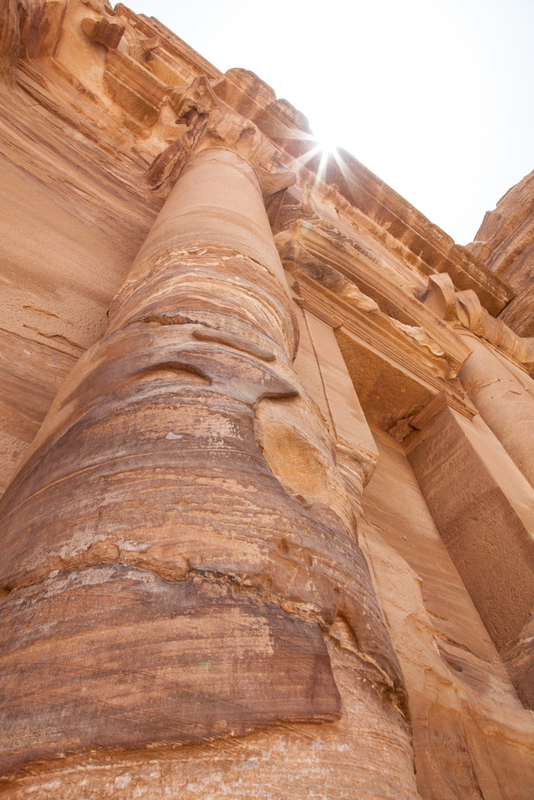 Up early the next morning and off to the famous gates of Petra. The early rise treated us with cool weather and very few other visitors on the track. In great form and on a high from the trip the team ascended both the high trails to see all the main sights and finally spent 10 hours absorbing the rich history and mind blowing feats of stone work. Buzzing from the day we all relaxed by the pool at our hotel before the evening meal and some well deserved beers were enjoyed. A relaxing morning was followed by our drive back north and a luxury stop by the Dead Sea. The beach side comforts of the hotel easing us back to our regular lives. Enjoying the ‘must do’ Dead Sea floating ritual we pasted mud on every bare surface and marvelled at the insanely salty water lapping at the crusty white shores. Washed off and rejuvenated, we settled down for our last dinner, sharing the stories and sights of the last days, tired but still buzzing from our experience. A short drive to Amman delivered us to the impressive new airport and some last mud pack present shopping before heading back home. Stocked up and already batting about ideas for the next trek we were dreaming of, we head off home. 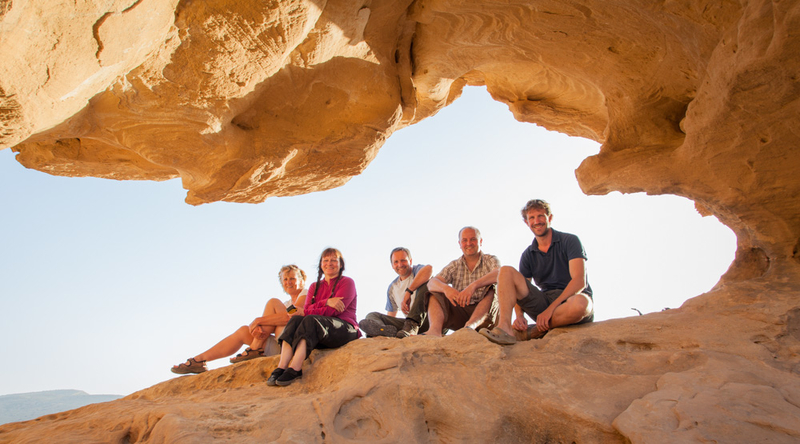 Why not join us on our next Jordan adventure in May 2014. All images by Graeme Fordham.